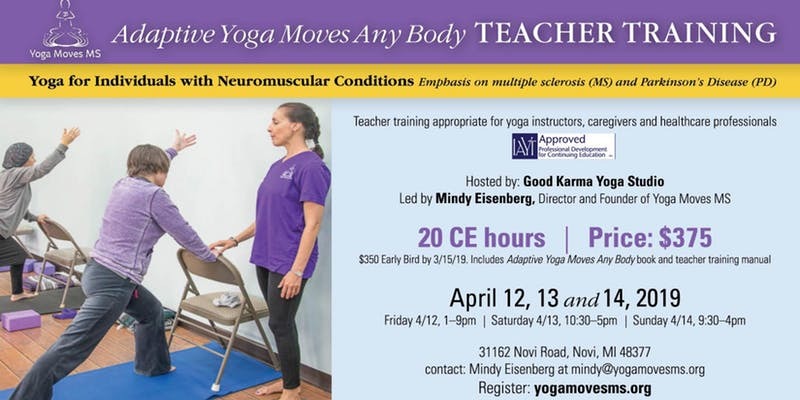 It is a goal of this Teacher Training program to help instructors gain confidence in their ability to meet the unique needs of their otherwise-abled students, while understanding how neuromuscular conditions impact students’ lives, mobility and sensations. It is not uncommon to be anxious about working with students with physical and cognitive challenges This comprehensive program combines Adaptive Yoga Moves Any Body (AYMAB) principles, with an overview of neuromuscular conditions, pose adaptations, class design and dynamics, theme components, class administration and additional resources for you to pursue. Participants will become part of a growing and mutually supportive adaptive yoga community of instructors and students. 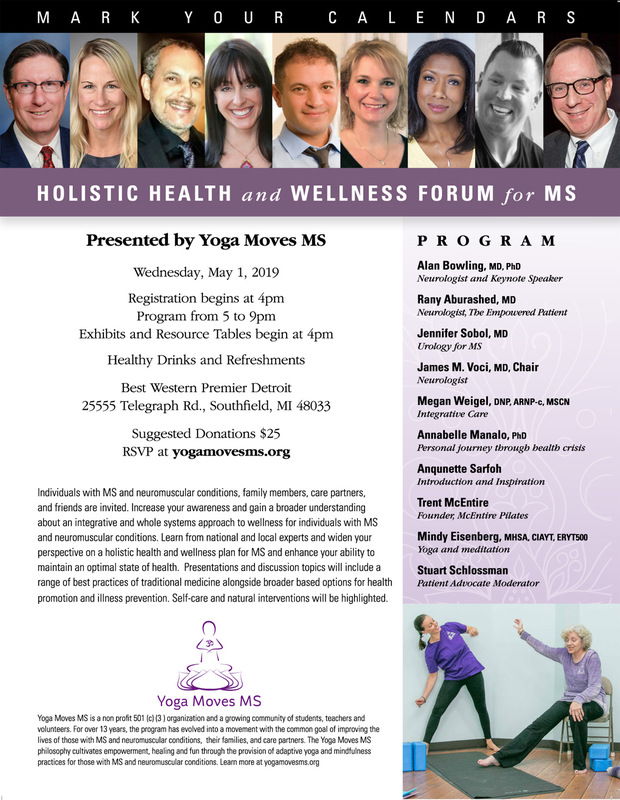 Basic understanding of nervous system and neuromuscular conditions in terms of types, symptoms, CAM options, and adaptations for yoga as maybe applied to students with muscular sclerosis, Parkinson’s disease, spinal chord injury, arthritis etc. How to assist adaptive students creatively and safely in, and through, poses. Bring snacks, lunch o dinner, drink container, hot water and tea will be provided; yoga gear such as blocks, blankets, bolsters, and straps if you have them.